In 1848, the townspeople of Melton used the Play Close for shows, recreation and stalls at fair time. With Lord Melbourne’s agents allowing pig stys and other buildings on the adjoining land, many of the townsfolk thought this was an enfringement of their ancient rights. The buildings were pulled down in what subsequently has been referred to as the ‘Play Close Riots’. Shortly afterwards, in 1850 the Play Close was purchased by Messrs. T. Ward and W.T. Tuxford; serving members of the Town Estate, they bought the Play Close on the understanding that they would sell it on to the town when the funds became available. The Town Estate purchased the play close in 1866 for £170 later enlarging it in 1872 and 1886 respectively to the area it is today. Since 1983, the Play Close has been at the heart of one of the UK’s biggest and best family shows. Over the years the Melton Mowbray Show has brought the finest acts to the town, including the famous King’s Troop Musical Ride, the Household Cavalry, the Band of the Royal Marines and top Naval acts, HMS Daedalus and HMS Sultan, amongst many other major military performers, as well as a host of top stunt teams and thrilling entertainers. 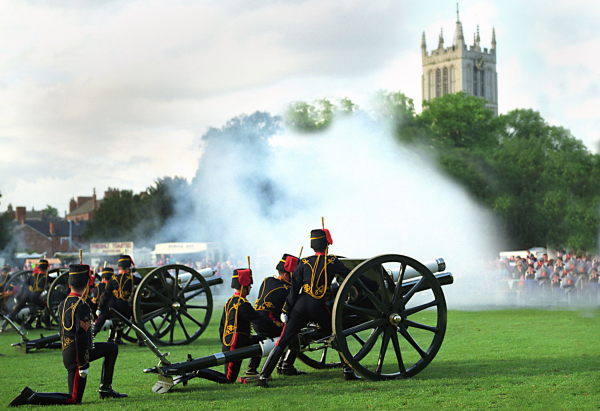 The event, which first took place in 1983, has a reputation for excellence throughout the East Midlands and has annually attracted visitors in their tens of thousands. It has become a major tourist attraction in the area and a place where local and regional charities and worthwhile organisations have raised, at a conservative estimate, more than a quarter of a million pounds for their own funds. The refurbished children’s play area in Play Close has benefitted from new impact surfaces, new play equipment, including equipment specifically designed for wheelchairs which can also be used for pushchairs. 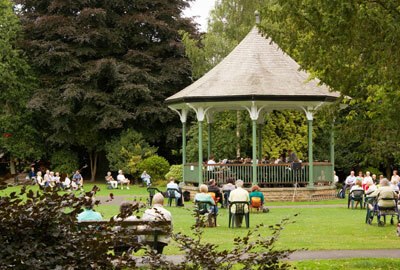 Melton Mowbray Town Estate provides and improves the amenities on offer in the town centre parks, for the benefit of the town and the people at no expense to the taxpayer. On 1st January 1983, the Town Estate introduced the ‘New Year’s Day Meet’, with the three Hunts; Belvoir, Cottesmore and Quorn, taking turns to participate. 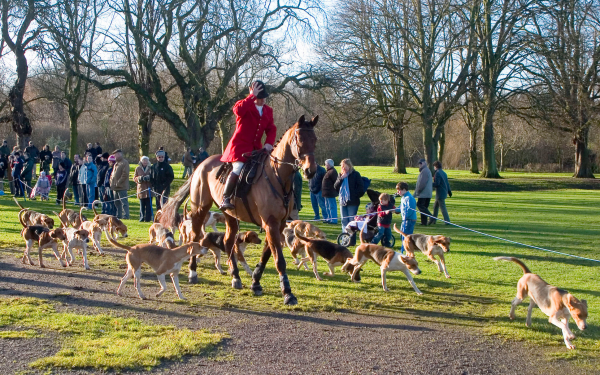 The Millenium Day Meet, 1st January 2000, was unique as all three Hunts met together here in the Play Close. For safety reasons the ‘New Year’s Day Meet’ now takes place here. 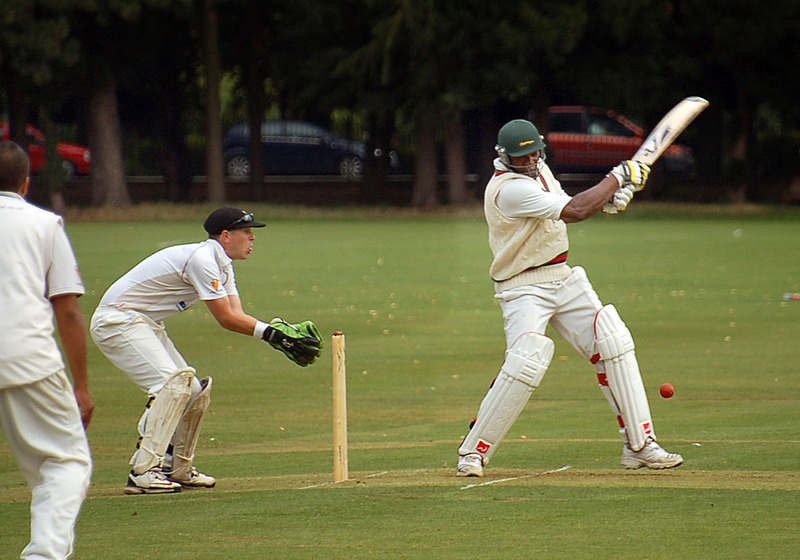 Melton Mowbray Town Estate are the hosts for the meet and supply the stirrup cup. Priors Close, the landscaped parkland, was officially handed over on Saturday 5th October 1985 by Mrs Audrey Mars, wife of the founder of Pedigree Petfoods, Forrest Mars, – “For the enjoyment of the people of Melton Mowbray and to mark the 50th year of Pedigree Petfoods”. This beautiful park, created on the derelict allotments and extending on to Borough Council land on the west bank, was presented to the Mayor Cllr Derek Sanders and the Senior Townwarden Mr John Southerington. It was indeed an historic occasion, as it was the first time in 437 years that such a considerable piece of land had been handed over to the Town Estate for safekeeping. A truly generous gesture by Pedigree Petfoods, in creating this beautiful park and gardens, to commemorate their 50th anniversary, the landscaping and the splendid way it was linked into the Play Close by making a feature of the ‘old canal’, thereby enlarging the existing parkland in the town. The New Park was officially opened on Thursday, August 5th 1909, by Mr Henry Wood, the proceedings being marked by musical festivities. Mr Henry Wood was born at Aberford near Leeds and is a son of the late Mr Thomas Wood. 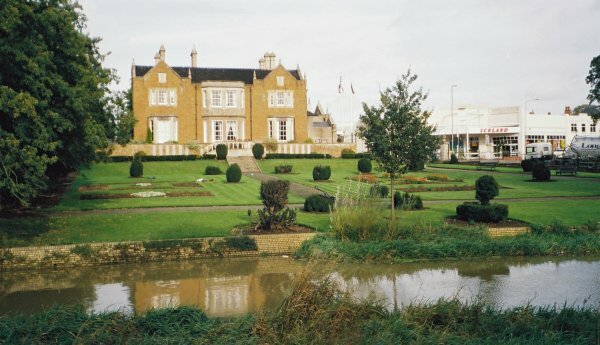 He came to Melton in 1876 with the late Colonel Markham, from Culzean Castle Ayrshire, to lay out the grounds of The House, known as The Elms, in Sherrard Street. During his residence in Melton Mowbray Mr Wood displayed a keen and active interest in matters pertaining to horticulture and managed the old Horticultural Society during its prosperous career for 17 years. In 1891 he took over the confectionery business in Cheapside for so long carried on by Messrs Weston & Eckett. For four years 1905-9 he filled the position of Townwarden, his crowning achievement being the carrying out of the New Park Scheme, which has proved such a boon to the town. He was a sidesman at St Mary’s Church for many years. 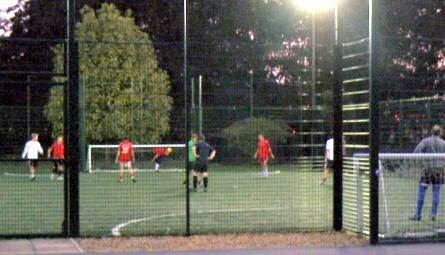 Originally a field, purchased from Lady Wilton in 1919 for £400.00, the design of this park epitomises the spirit of Edwardian times, the centre of individual sporting activities in the Town Parks. Since its inception, various garden and seated areas have been added. The trees complement those in the Play Close and New Park, on the other bank of the River Eye. In 1998 a Rose Garden was created as a permanent memorial to Diana, Princess of Wales. The rose bed was prepared and a trellis constructed by Estate Carpenter, Alan Tilson. Planting consisted of Princess of Wales white roses in the centre and Prince William red roses on either side. 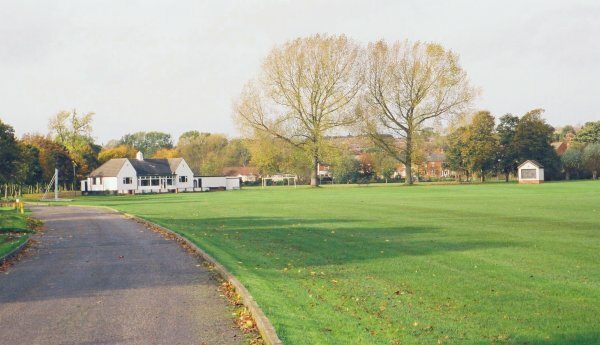 Two bowling greens, all weather tennis courts (with a dome from Autumn to Spring to allow all year round use), a putting green, lawns and ornamental shrubberies were established. 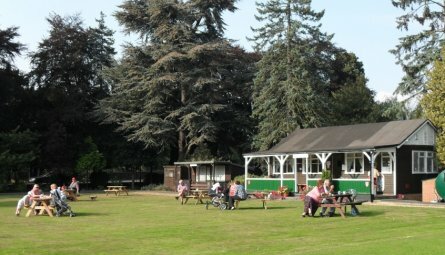 Latterly, a refreshment kiosk, a miniature railway and Unders 5’s play park have been added. A further purchase for £1,400 in 1931, completed the quadrants of Estate land around the Leicester Road Bridge. Football, hockey and cricket pitches are laid out. 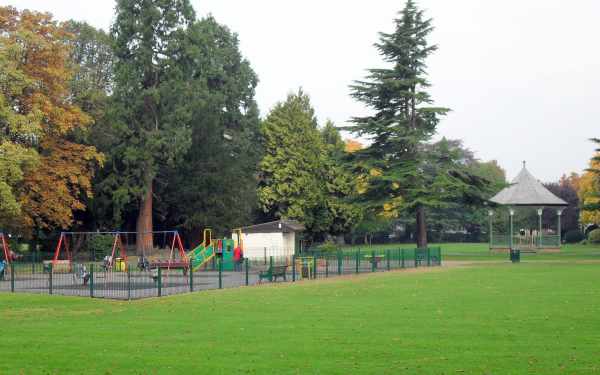 The Park has also in times gone by been the venue for the Country Fair, Lions Family Fun days and a Tug of War (48 Seconds, 3.12MB, WMV). 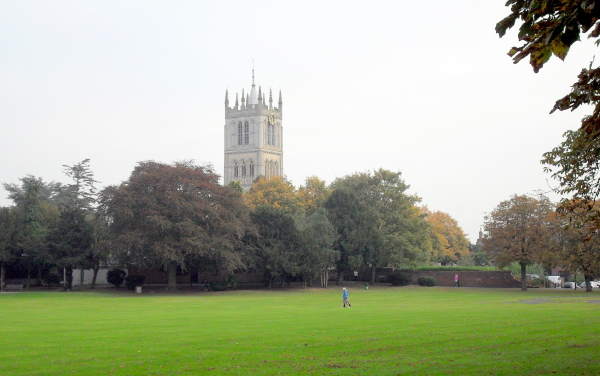 On 10 March 2003 the Rotary Club of Melton Mowbray installed a sundial in the park to commemorate 75 years of service to the community. The Town Estate acquired the Gardens in 1929, for £500. 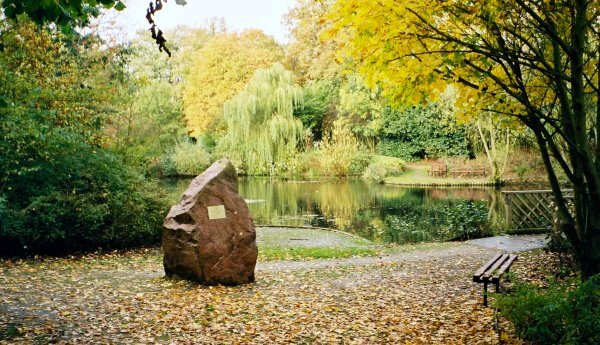 The ornamental gardens were developed over the years, and subsequently became Memorial gardens, and a permanent war memorial was erected in honour of the victims in both World Wars. This became a replacement for a wooden structure that originally stood next to where the bandstand is in New Park. The terrace where the memorial stands is a listed structure, with Portland stone tablets recording the names of the townspeople who died in war. 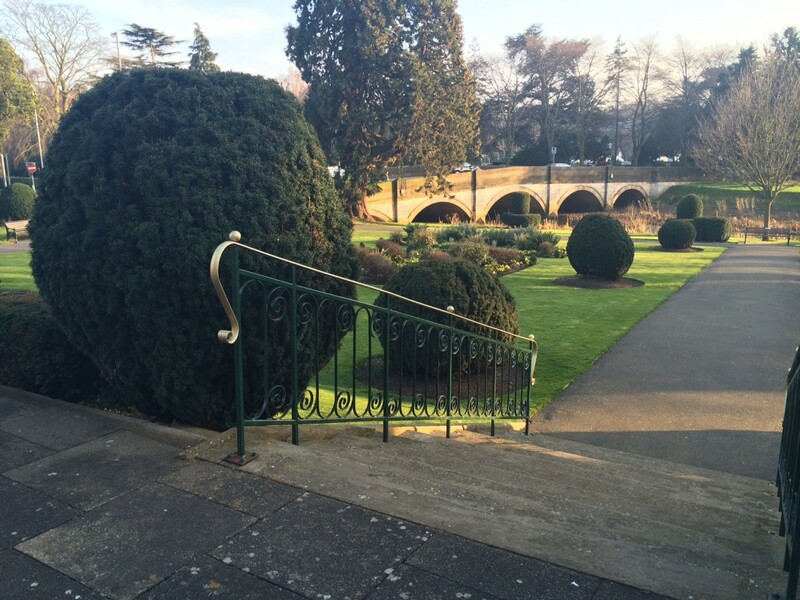 Situated in the Memorial gardens are two sets of flower beds, that are each set out like the Victoria Cross. The yews, originally planted in the 18th Century, are being restored to the original candle flame shape, although many inhabitants remember their previous shape which legend says reflected the tears of Lord Wilton when his wife died.